We are very proud to present this fine group of musicians exploring the deep roots music of North America. Jayme Stone is a Canadian banjo innovator, known for his bringing together diverse music, be it Bach or from Africa. His range is tremendous and his knowledge of the music insures that it will be an authentic rendering. Focusing on songs collected by folklorist and field recording pioneer Alan Lomax, this collaboratory brings together some of North America’s most distinctive and creative roots musicians to revive, recycle and re-imagine traditional music. The repertoire includes Bahamian sea chanties, African-American acappella singing from the Georgia Sea Islands, ancient Appalachian ballads, fiddle tunes and work songs collected from both well-known musicians and everyday folk: sea captains, cowhands, fishermen, prisoners and homemakers. Collaborators vary on different tours, and at this point we know that Moira Smiley, who will be familiar to many in our audience, will be among those joining the Project at Caltech. 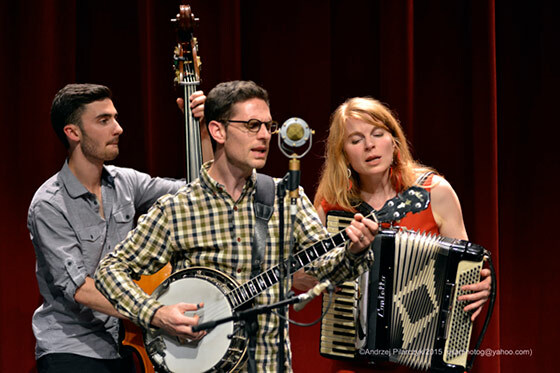 Other performers who have participated include Grammy-winning singer Tim O’Brien, Bruce Molsky, Margaret Glaspy, Moira Smiley, Brittany Haas, Julian Lage, Eli West, and more. They have released a recording on Borealis Records. Learn more on Jayme Stone’s website.